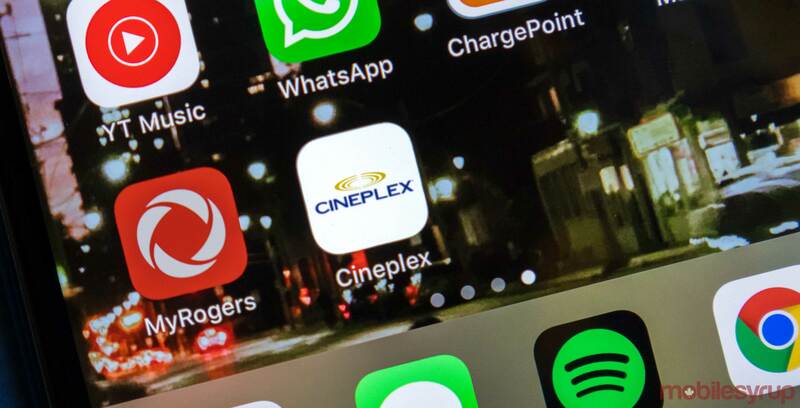 Cineplex has rolled out version 7.0.0 of its Cineplex Mobile app on iOS, bringing with it two major new features. Firstly, users will now be able to display their movie ticket in-app for scanning when at the theatre, removing the need to print a physical ticket at home or in-theatre. iOS users could previously add their ticket confirmation to the Apple Wallet, although they still needed to go to a theatre kiosk to scan their phone and print a physical ticket. The second new feature in the Cineplex Mobile app is the ability to place food and drink orders directly from the app when watching a movie at a VIP theatre. Starting 30 minutes before the start of the movie, users will be able to browse the full menu, place their orders and pay instantly, all from within the app. Previously, users would have to wait for a server to come over to their seats to take their orders and payment. The update is currently only available to iOS users. Cineplex has confirmed to MobileSyrup that an Android rollout for the update has already started. The company says it is currently targeting 50 percent of its Android user base, with a 100 percent rollout planned for October 19th.